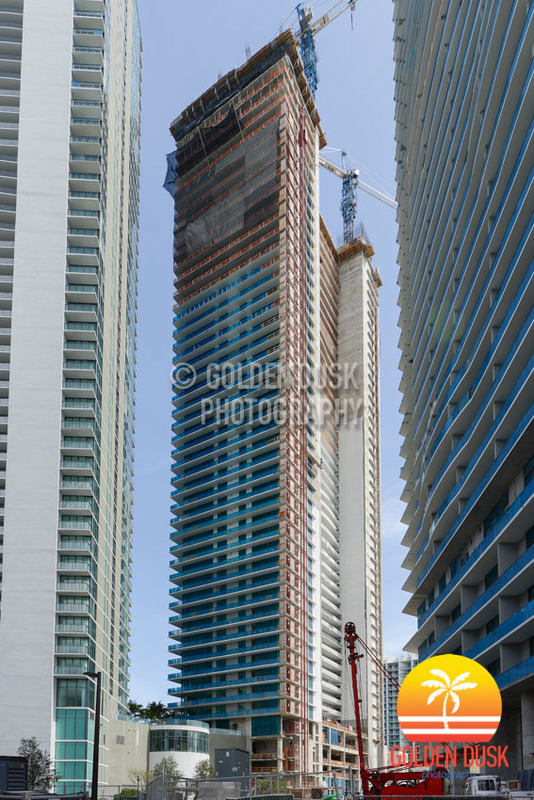 The last of the four towers in the Paraiso District, Gran Paraiso, is close to topping out at 55 stories. 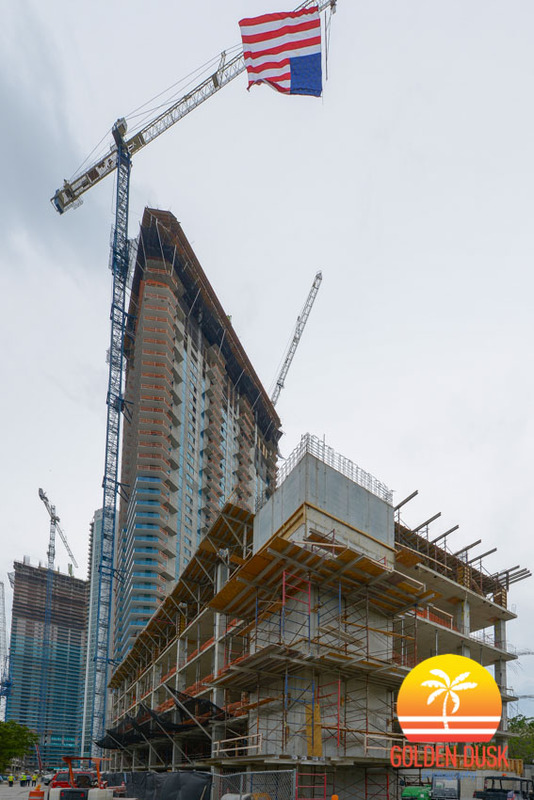 When we last looked at the entire Paraiso District in March, Gran Paraiso was just past the half way mark of construction. During Hurricane Irma, the South crane jib collapsed during the heavy winds and causes the counterweights on the back to fall to the ground. Residents at two next door buildings were asked to evacuate for safety reasons. 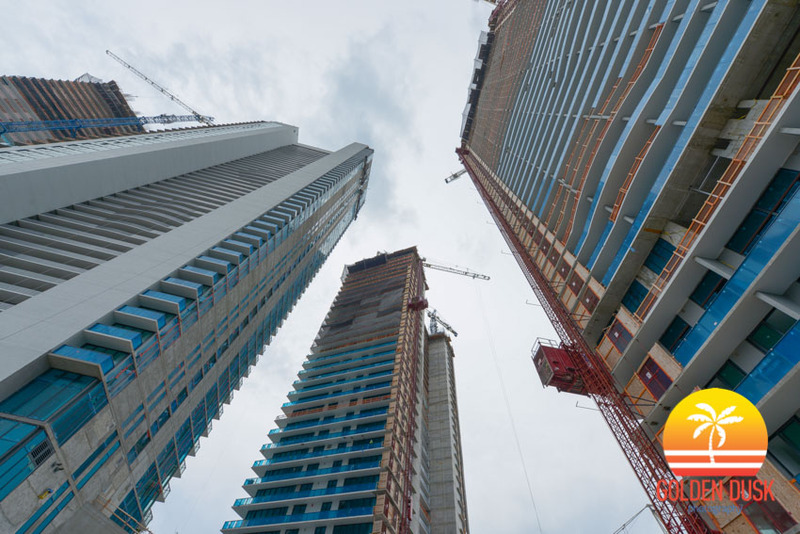 When completed, over 1,300 units will be delivered to buyers in the Paraiso District. 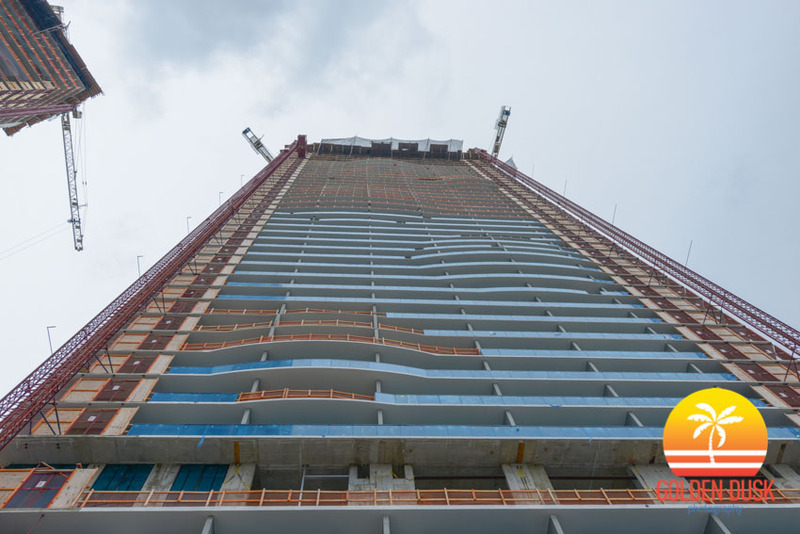 Previous construction photos of Gran Paraiso can be viewed here. 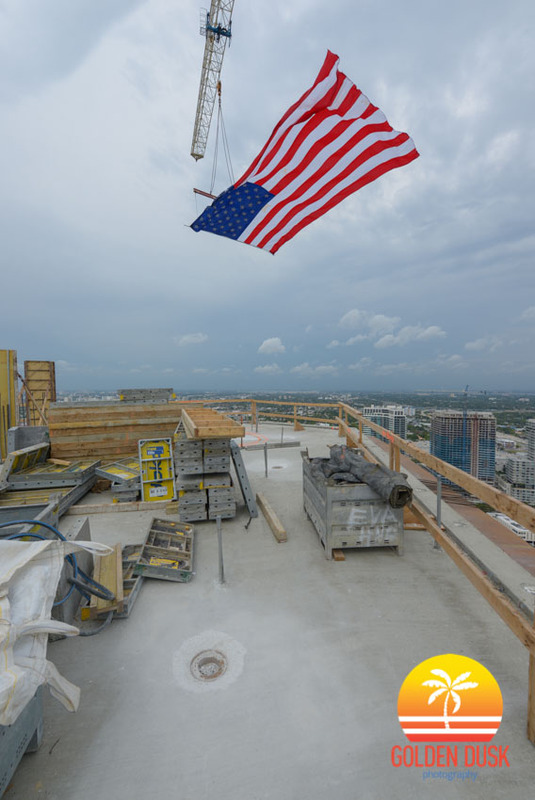 When we previously looked at One Thousand Museum in May, the building was on the 38th floor of construction. 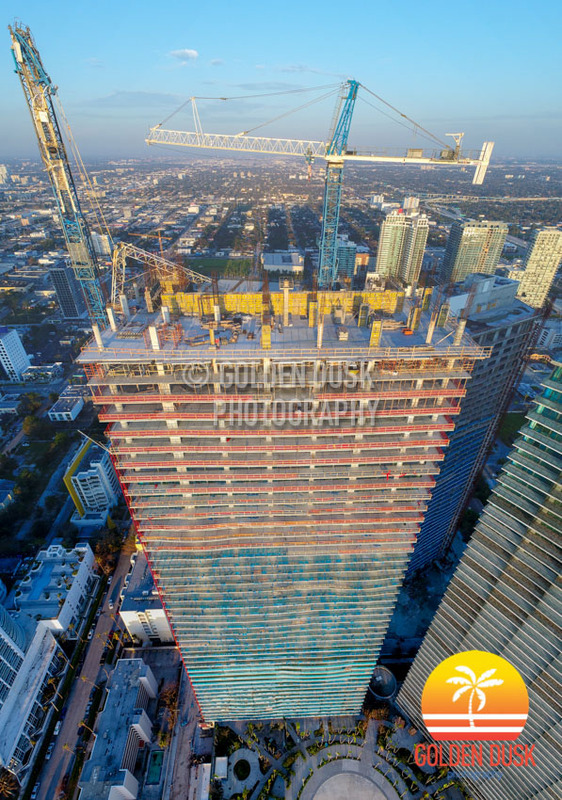 One Thousand Museum has reached over 539 feet in height and is now above the neighboring building Ten Museum at 51 stories. 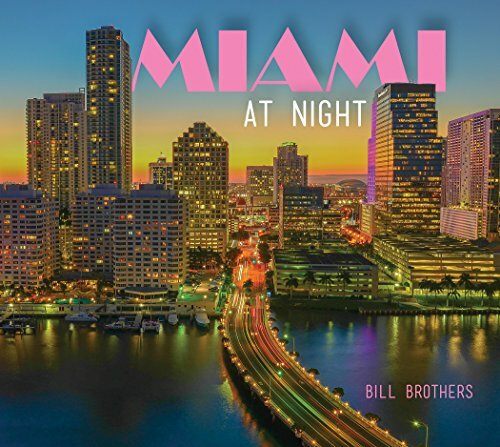 In the next couple of months, One Thousand Museum should be above 900 Biscayne in height and on its way to its final height of 706 feet by the end of the year. Two years ago, the site was getting ready for its concrete pour. Previous construction photos of One Thousand Museum can be viewed here. 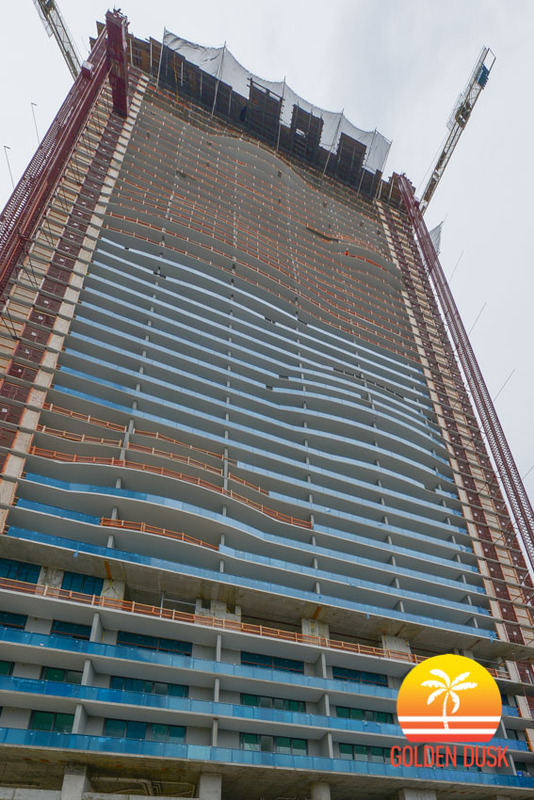 Since groundbreaking in August 2015, Paraiso Bayviews in Edgewater has topped out at 46 stories. 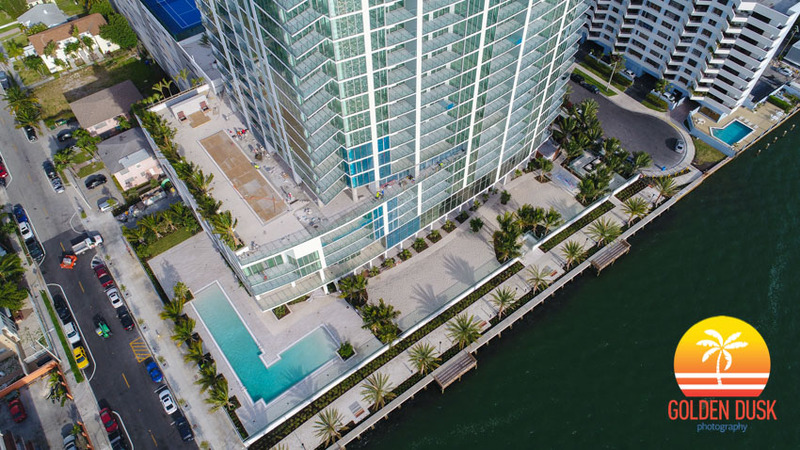 Paraiso Bayviews is part of the Paraiso complex in the Edgewater district of Miami that also includes the the towers Paraiso Bay, Gran Paraiso and One Paraiso. The next tower to top off will be One Paraiso, followed by Gran Paraiso. 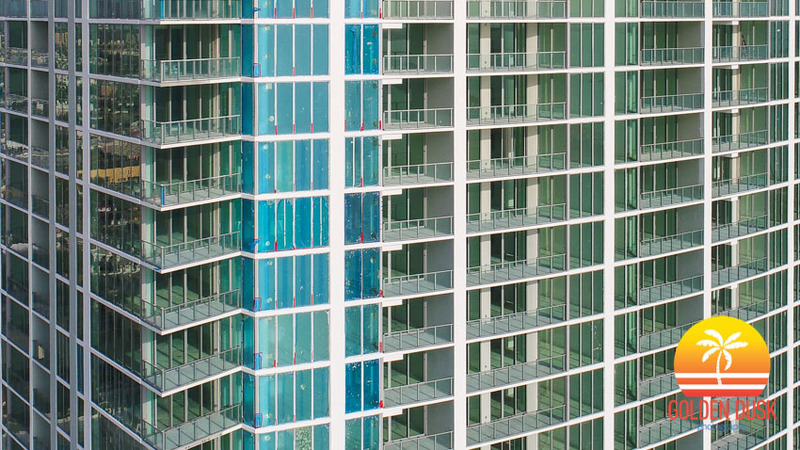 Paraiso Bayviews has a rooftop pool on the 46th floor that was just recently poured last week. 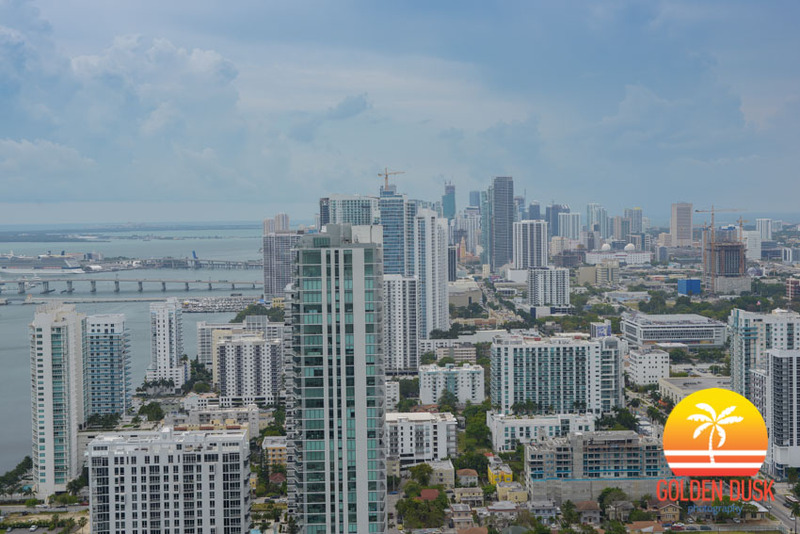 Downtown Miami, Midtown Miami, Design District, Sunny Isles Beach and all along Biscayne Boulevard can be seen from the top of the building, while offering views of Biscayne Bay. Completion of Paraiso Bayviews is expected by the end of the year. 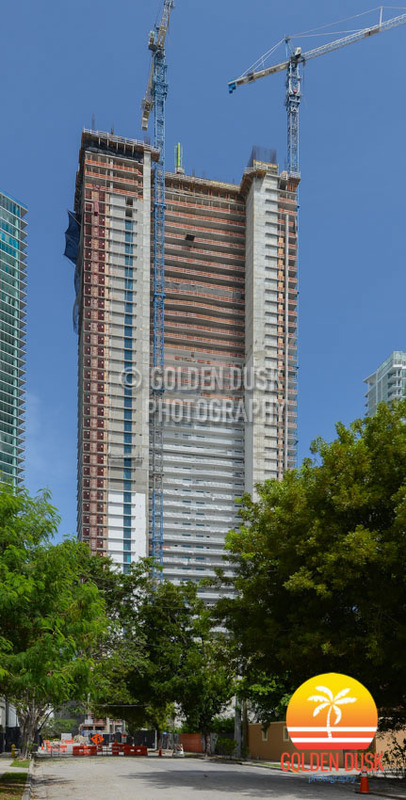 Previous construction photos of Paraiso Bayviews can be viewed here. 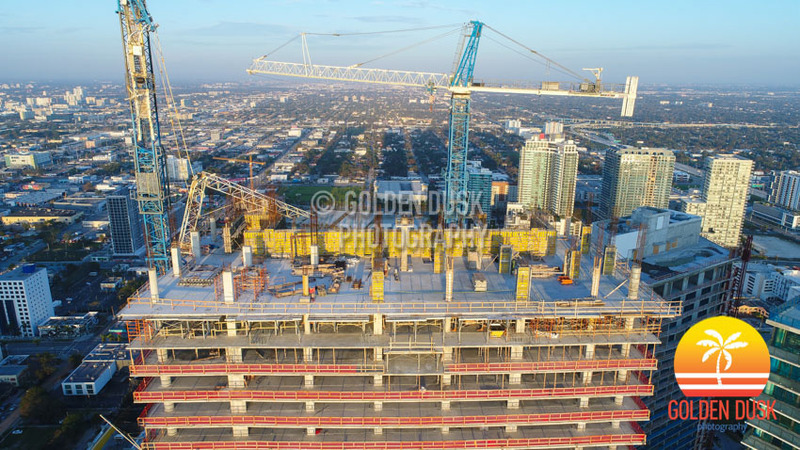 When we last looked at the under construction One Thousand Museum on 1000 Biscayne Boulevard, the building was on the 31st floor. Construction has now reached the 38th floor of the 62 story tower. 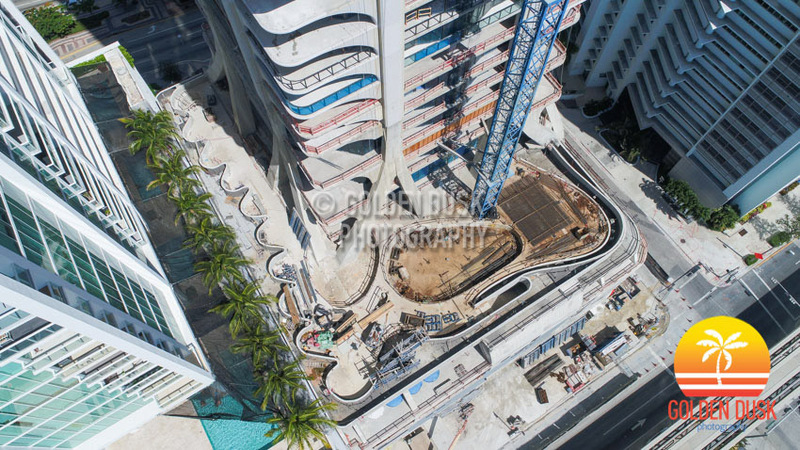 A year ago, the base of the building was starting to take shape on the Pritzker Prize winning architect Zaha Hadid designed tower. One of the unique features of One Thousand Museum is the exoskeleton, which supports the building. The exoskeleton is made of over 3,000 pieces of glass fiber reinforced concrete, which is made in Dubai and shipped to Miami every week. The panels are clamped around the steel rebar and poured with concrete to the give the exoskeleton a continuous flow. 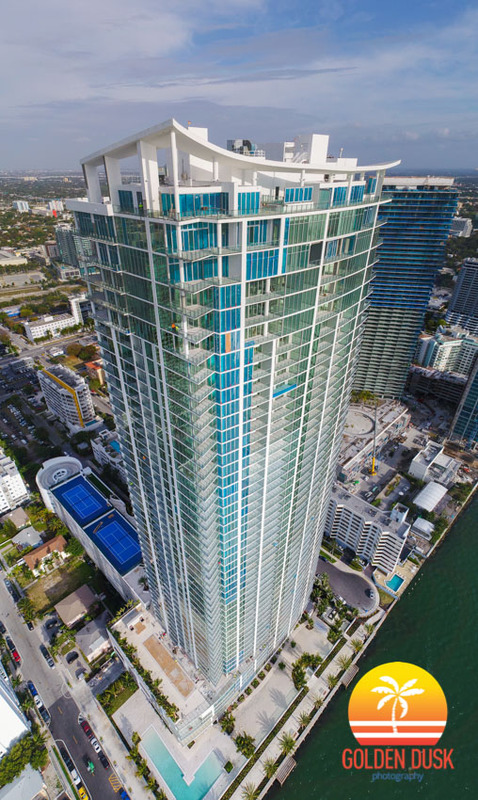 Biscayne Beach is expected to begin closings on the 51 story condo in Edgewater this week, according to Miami Condo Investments. 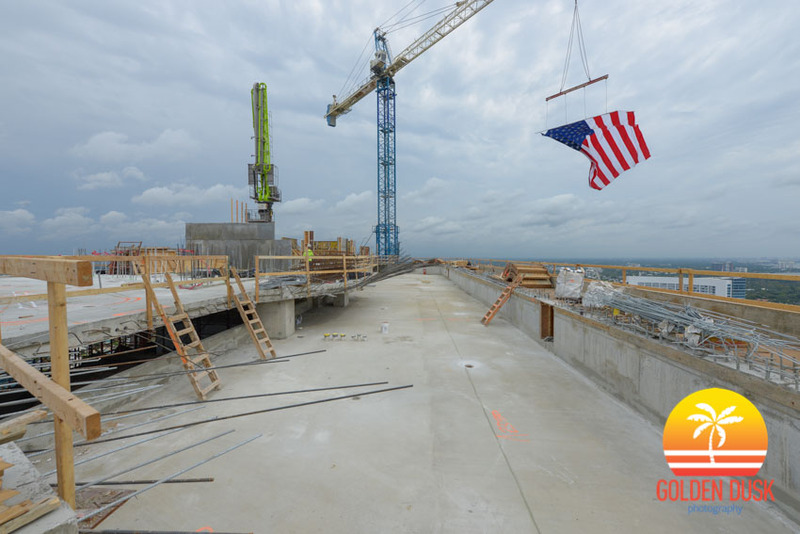 Groundbreaking on Biscayne Beach began in April 2014 and topped off in May 2016. The project is developed by GTIS Partners and Eastview Development. WHLC Architecture is the architect. Previous construction photos of Biscayne Beach from the beginning of construction can be viewed here. 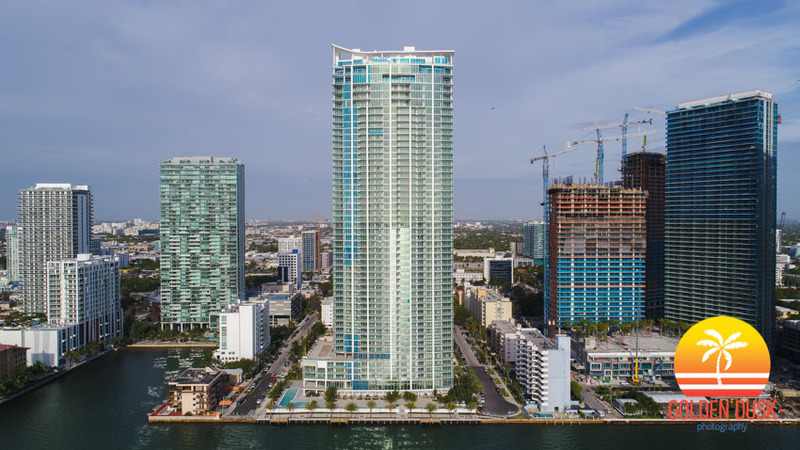 The 11 acre Paraiso Complex in Edgewater is growing taller as the four buildings - Paraiso Bay, Gran Paraiso, One Paraiso and Paraiso Bayviews continue to top out. 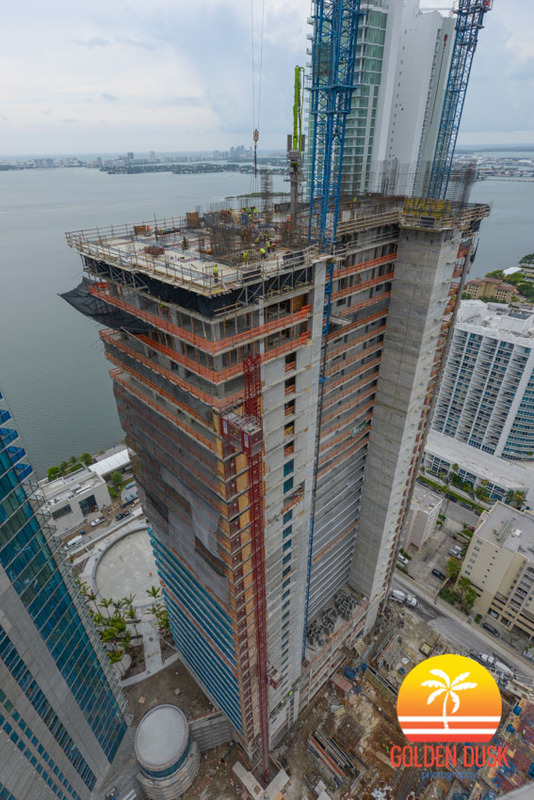 The 55 story Paraiso Bay topped out in July 2016 and is expected to be completed by this Summer. 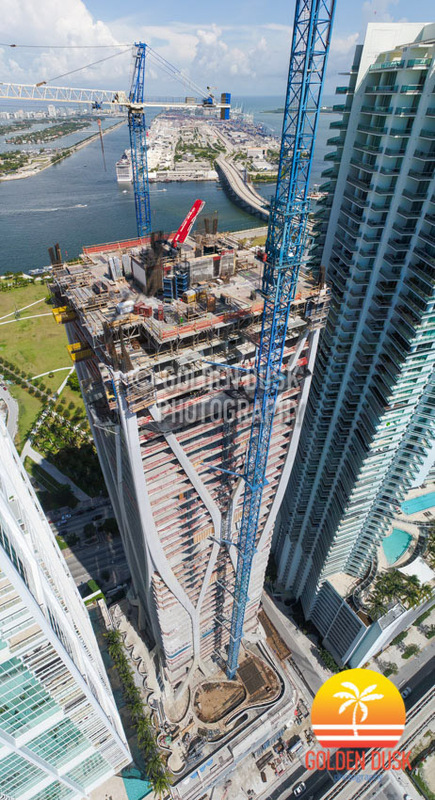 The 53 story One Paraiso is about to top off and will be completed by the end of the year. 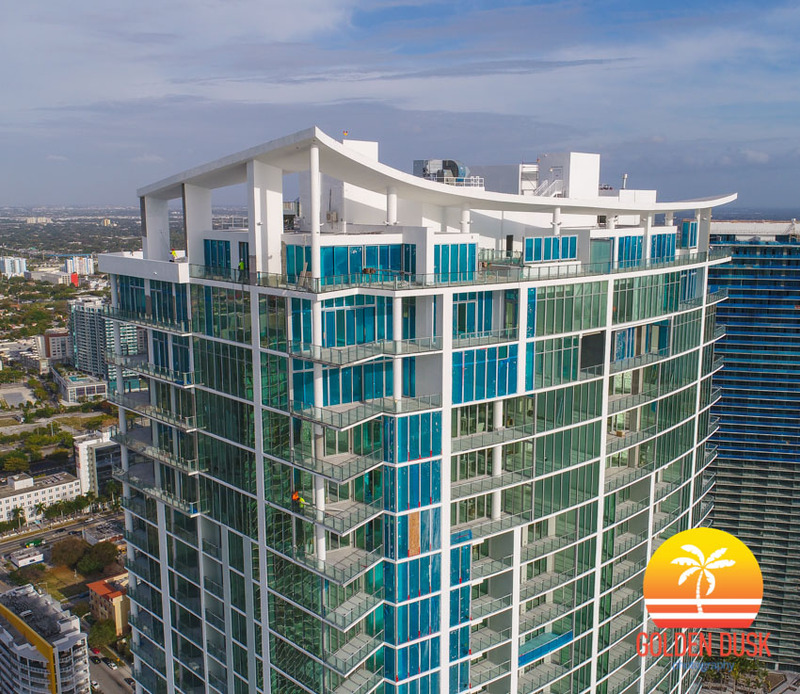 Gran Paraiso should top off in the next 3 - 5 months and will be complete by Spring 2018. Gran Paraiso will have 8 bay homes at the base of the building. 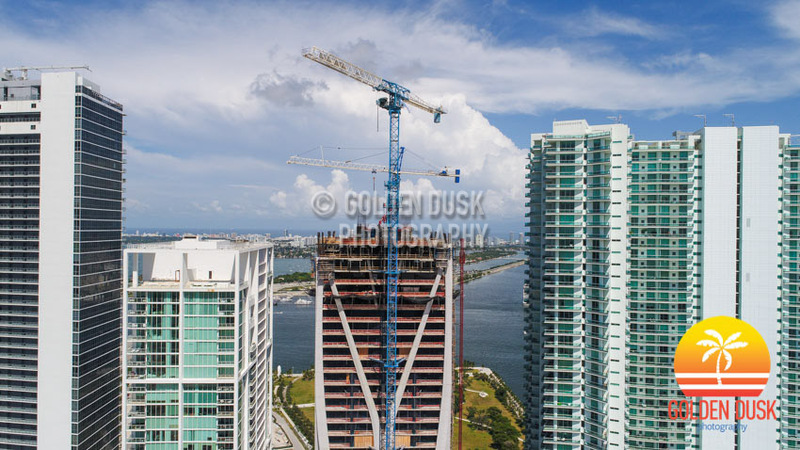 The last tower, the 44 story Paraiso Bayviews is also close to topping off and will be completed by the end of the year. In total over 1,300 residential units will be delivered to buyers. Also under construction is the Meyer Davis designed Paraiso Beach Club, which will have a Michael Schwartz Restaurant on the first floor and private residents club on the second floor with a pool.